Elliw is a big fan of superheroes, dinosaurs, cars, you name it any boys things she just loves it! For the past few months she has had a huge interested in Star Wars, Spiderman and dinosaurs. 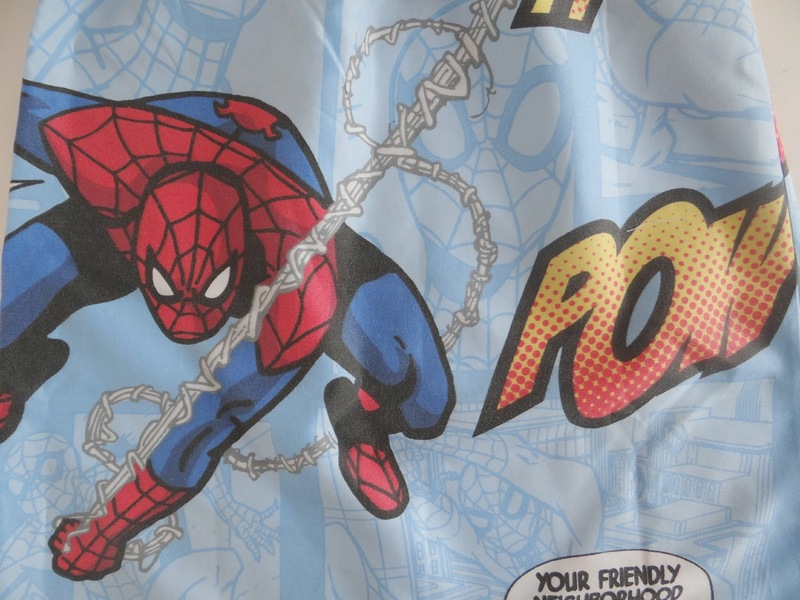 I have no idea where she has had the interested for Spiderman because she has never watched it, only photos or toys. She has had her love of Star Wars from Catriona / Lovedbymummy because she is obsessed with Star Wars! 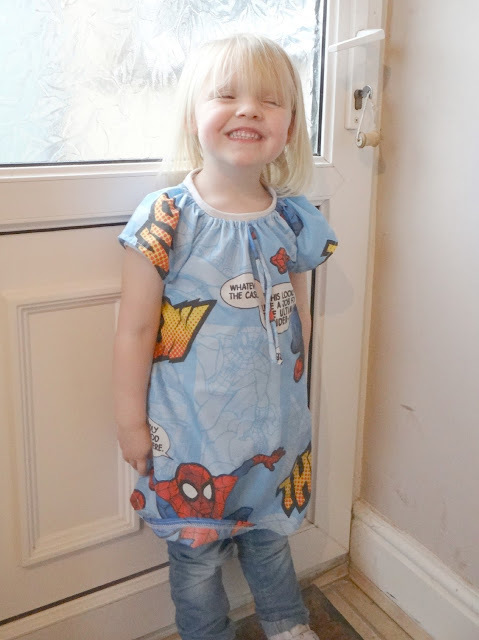 We were recently sent a handmade Spiderman dress! YES! 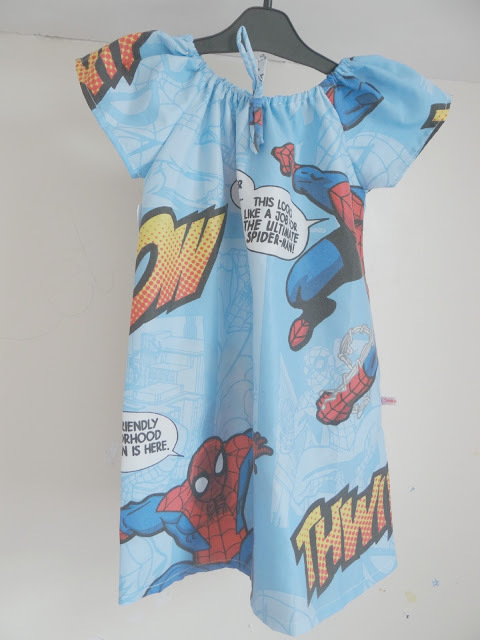 a Spiderman DRESS! How cool is that? I was so excited to receive it and when it arrived I fell in love with it. I was sent an age 3 dress which I thought may be tight fitting but it was a perfect fit and a little bit too big so it will last for a good few months. My Sister Mabel use upcycle fabric which is why you every single item you buy from their website will never be the same which is another bonus as it's nice to know you have something a little different to everybody else and knowing no one else has the exact same thing as you. With many items they are limited stock so once they are gone - they are gone! So if something does catch your eye then I would definitely buy it as soon as you can. 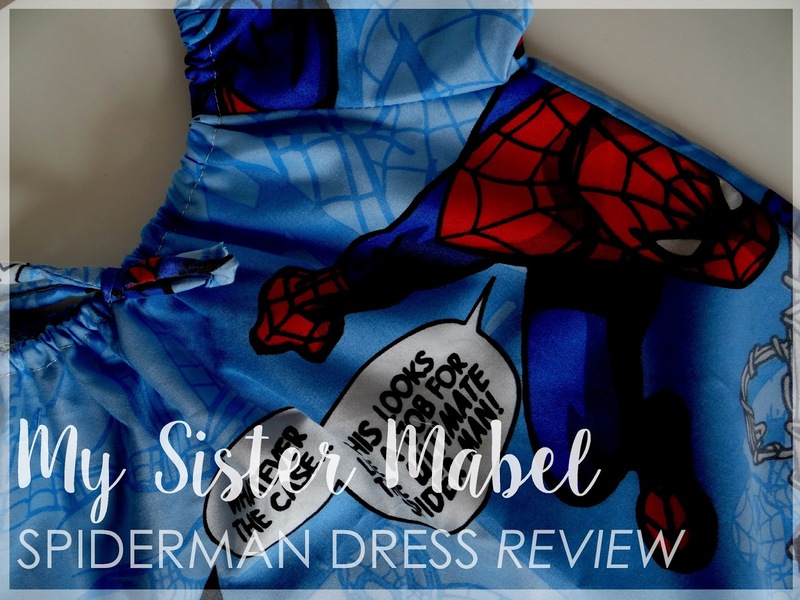 Overall Elliw and I are very happy with the beautifully made spiderman dress and I would recommend you order from My Sister Mabel if anything catches your eye.